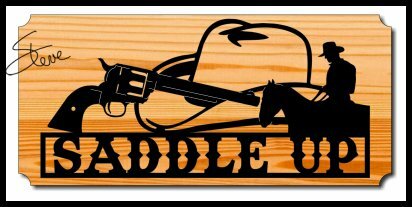 Saddle Up Western Scroll Saw Pattern. This western pattern is over 17 inches wide. I am showing it in black to simulate black metal art. You can finish is anyway you like. Wyrmwood is a small woodworking studio who offer exceptional craftsmanship for tabletop gaming products. Gaming tables, dice towers, and card deck boxes are a few of their products. 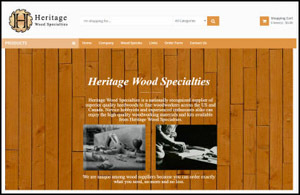 They go above and beyond to handcraft beautiful heirloom quality products. 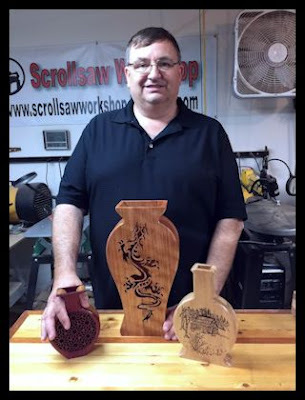 In this video, they show one of their craftsmen demonstrating double bevel marquetry on the scroll saw. 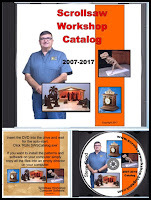 If you like watching craftsmen at work you will enjoy this video. 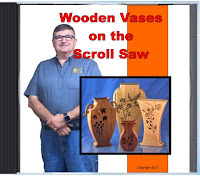 I wanted to mention my Wooden Vases on the Scroll Saw pattern books. 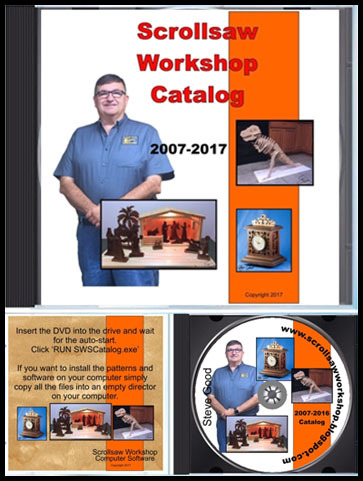 Eack book comes with eight different designs. 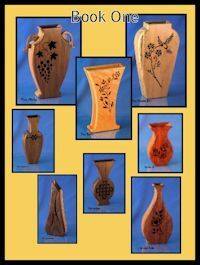 These are designed as art pieces or for use with dried flowers. 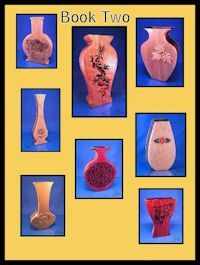 The vases are easy to make. 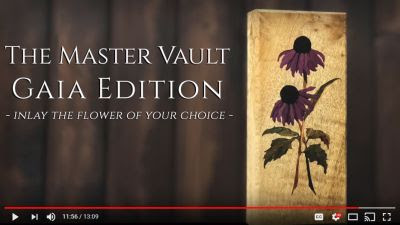 There is a demonstration video on the purchase page. These books are instant downloads after payment. Buy and start cutting the same day. The pattern books are only $12 each. 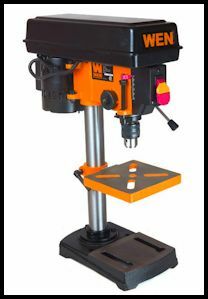 Good small drill press for your scroll saw workshop.